Taylor now lives in Florida with an adopted family. 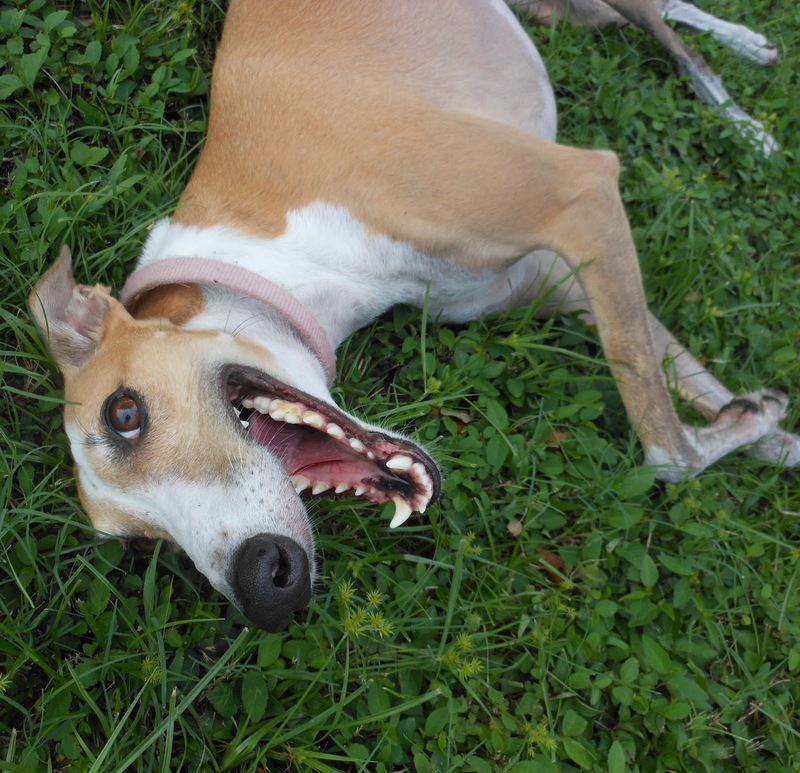 Greyhound advocates won two major victories yesterday in West Virginia. First, the state Racing Commission unanimously voted to approve a new animal cruelty policy. Thanks to this vote, it will now be the Commission's official policy to report instances of animal cruelty, mistreatment, neglect, abuse or abandonment to the appropriate local law enforcement authorities. The Commission also voted, again unanimously, to refer a case involving two greyhound trainers to Ohio County Prosecuting Attorney Scott Smith. The trainers had been previously disciplined by the Commission after they failed to provide an injured greyhound with veterinary care. Before voting on the animal cruelty policy, the Commission acknowledged that they had received many supportive comments from humane minded citizens, including GREY2K USA supporters. 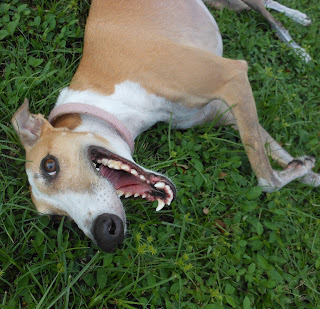 We are grateful to everyone who helped give the greyhounds a voice. The three members of the West Virginia Racing Commission should also be applauded for their compassionate votes. Their actions send a clear message that greyhound cruelty will not be tolerated, and abusers will be held accountable. We are also thankful for the work of Commission Executive Director Jon Amores, who helped draft the policy. Please send a polite message to the Commission, thanking them for adopting this new animal cruelty policy. "The state Racing Commission unanimously approved the agency's first animal cruelty policy Tuesday. In doing so, it declined to accept several changes pushed for by the West Virginia Greyhound Owners and Breeders Association." "I think that cruelty is a very relative, subjective subject ... they should have adopted something that lets people understand that dogs need discipline, that they don't need to be treated cruel in fits of rage or temper or anger." "He may have to pick up a dog and throw it." This is not the first time Burdette has expressed bizarre views on greyhound cruelty. 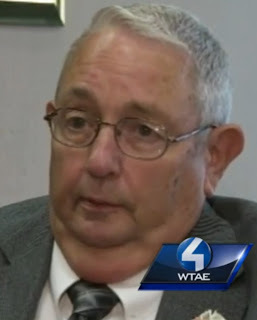 Just last month, he told Pittsburgh television news station WTAE that he could "understand" why a greyhound trainer had hit several greyhounds. He went on to say that although the trainer had acted "a little bit rough ... that's the way you handle dogs and the only way you can handle dogs." 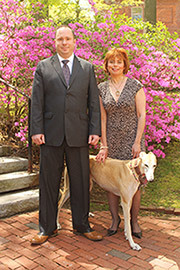 This rationalization of greyhound cruelty goes against the views most West Virginia citizens have about animal cruelty. Like Burdette the greyhound industry is out of touch, an anachronism from a bygone era when people held very different views on animal welfare. We should not, however, allow this callous industry perspective to overshadow the important victory that occurred yesterday in West Virginia. Thanks to the State Racing Commission, greyhounds now have an added layer of protection from individuals who would do them harm. "I've been in the business 24 years," Burdette said. "There have been times I've [had] to discipline dogs but wondered at what point I would be invoking animal cruelty rather than discipline. A clear understanding of animal cruelty is important." These concerns about what a fine line there is between "discipline" and cruelty are not apparently shared by the horse racing industry, which had no problem with the Commission's draft policy. He needs to be treated as he would treat the Greys. Anyone who's ever been around any dog knows that you train, not discipline . You reward, not beat. This breed in particular is so willing to please.